The spectacular colors of Fall are here. 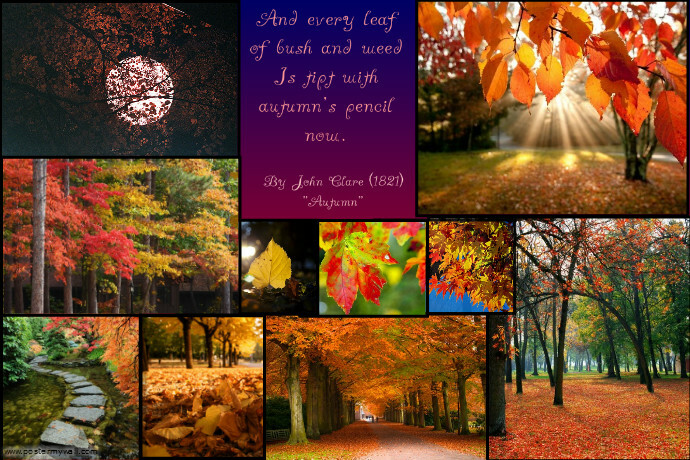 The leaves have turned, with trees taking on golden, amber and scarlet hues. The fallen bright yellow leaves that herald autumn mix serves as a memory of summer gone by.If you are fortunate enough to experience these transitional colors of the season, a remarkable opportunity awaits you to photograph these marks of nature that maybe steps away from your front door. 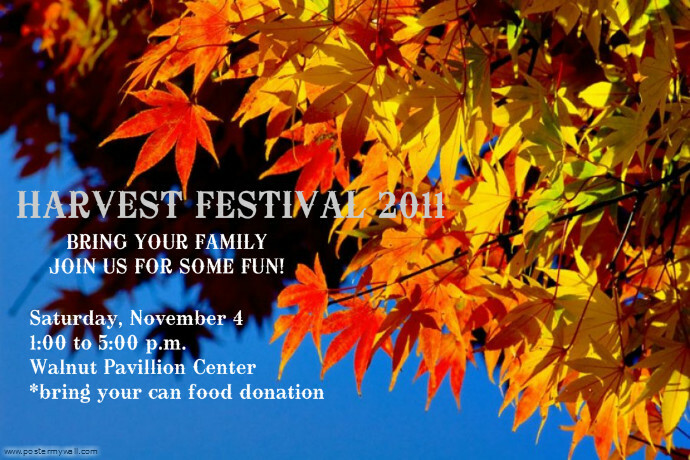 You can turn these richly colored photos of the fall into a poster using a photo as a background for a harvest festival flyer. You can collage several of your favorite photographs to keep memories of the season as you head into the cold winter days ahead. Here are some tips to get the perfect shot of autumn foliage to showcase on your poster. Photograph outdoors when your shadow is longer than you are, usually in the late afternoon. Don’t overlook overcast days. They can often be wonderful to shoot on because the sun isn’t drowning out the colors and the shadows are softer. Use a tripod. Especially when shooting with dusk encroaching, tripods really help. (Don’t have one? Make one with a soda bottle, Turn off your flash, set your ISO to 100 to minimize noise (sharper detail!) and start shooting. Underexpose your shots slightly to deepen the saturation in your colors, and then use your computer’s photo software (iPhoto, Picasa, or Photoshop) to increase the contrast and play with the color saturation to warm things up slightly. Experiment with your white balance settings. Don’t be afraid to take your camera off Auto mode and play with those settings. Increase the little numbers manually, or select a white balance setting like “cloudy”. Get up close for detailed leaf shots, or take a step back and take in a technicolor landscape. There’s so much change come Fall that the only thing you need do is look around you (or look up!). Make-Your-Own Leaf Studio – Too windy to get those up-close macro shots of leaves to work? Try bringing some leaves home. With some good ol’ Scotch tape, stick the stem to a large open window that has some natural light coming through it, so that the leaf lies flat against the window. Now set up your camera and start snapping. Voila, brilliant leaf close-ups! Take leafy portraits. While you’re busy raking those leaves up in the backyard, don’t forget the leaf fights, leaf forts, leaf heaps… they’re fun and the spontaneity will give you opportunity for dynamic portraits. Leaves and trees aren’t the only thing to photograph in the Fall. Visit a farmer’s market and snap some of the beautiful colors and shapes of Fall fruits and veggies. Go apple-picking or stop by the pumpkin patch. Get started with your Autumn flyer/poster now! Tips were taken from http://content.photojojo.com/photojojo-original/fall-photo-tips/.